Forensic police investigate a truck at the scene of a terror attack on the Promenade des Anglais on July 15, 2016 in Nice, France. A French-Tunisian attacker killed at least 84 people as he drove a truck through crowds, gathered to watch a firework display during Bastille Day celebrations. The attacker then opened fire on people in the crowd before being shot dead by police. A truck driver plowing into a crowd of pedestrians in Nice was exactly the kind of low-tech, vehicular attack on a soft target that terrorism experts say is almost impossible to prevent. 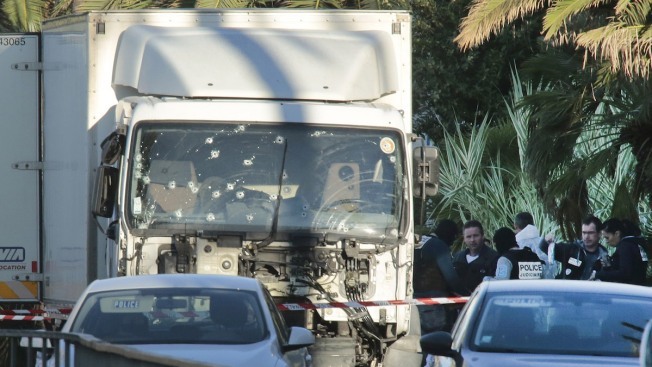 Pick-ups and vans laden with improvised explosive devices are a well-established threat in Afghanistan and Iraq, but the attack in Nice underscores fears that the use of vehicles as weapons is a growing threat in the United States and other Western countries. Aside from increased intelligence gathering, experts say there is little that can be done to stop a determined attacker from "killing by car" in main streets or other busy areas. The threat comes not just from jihadis but anyone with a grievance and a car. "This is what authorities fear the most — a low-tech weapon than can be obtained by anyone and used at any time," said Shiraz Maher, senior research fellow at the International Centre for Study of Radicalization and Political Violence (ICSR) at Kings College, London.